Certified, Low Mileage, Leather Seats, Cooled Seats, Wireless Charging, Heated Seats, Premium Audio System! Known as one of General Motors' best-selling vehicles, the Silverado 1500 full-sized pickup truck is recognized on construction sites and farms through out North America. 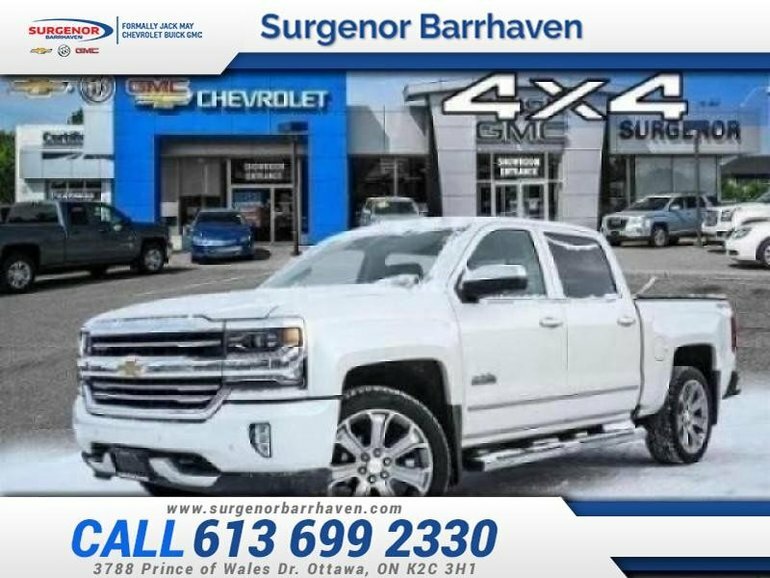 This 2016 Chevrolet Silverado 1500 is for sale today in Ottawa. 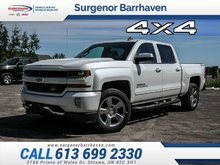 The 2016 Chevrolet Silverado 1500 pairs brains with brawn to build upon the legacy of the most dependable, longest-lasting full-size pickup trucks on the road. 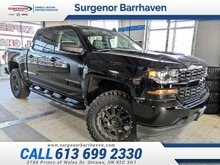 A muscular front end, sculpted hood and signature LED lighting accents give Silverado a bold new look, while high-strength steel delivers rugged capability that you can depend on day in and day out.This low mileage Crew Cab 4X4 pickup has just 34000 kms and is a Certified Pre-Owned vehicle. It's white in colour and is completely accident free based on the CARFAX Report. It has an automatic transmission and is powered by a 5.3L V8 16V GDI OHV engine. This vehicle has been upgraded with the following features: Leather Seats, Cooled Seats, Wireless Charging, Heated Seats, Premium Audio System, Rear View Camera, Park Assist. It has a certified used vehicle warranty for added peace of mind. Our Silverado 1500's trim level is High Country. 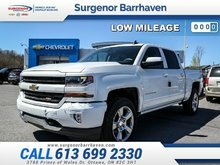 The 2016 Silverado 1500 High Country is the top of the range and comes with an incredible amount of luxury. It features leather bucket seat with both heating and cooling options, 12 way power front seats, a remote engine starter, wireless charging, MyLink with an 8 inch touch screen and navigation system, chrome assist steps and accents, polished exhaust tips and brushed metal sill plates. 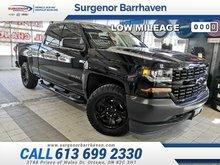 This truck also offers a premium Bose audio system, rear view camera, EZ lift and lower tail gate plus Ultrasonic front and rear park assist. Buy this vehicle now for the lowest bi-weekly payment of $302.48 with $0 down for 84 months @ 6.99% APR O.A.C. ( Plus applicable taxes - Plus applicable fees ). See dealer for details. Ce véhicule, Chevrolet Silverado 1500 High Country - Certified - $302.48 B/W 2016 vous intéresse?